Customers say that they can buy their black circles for about 25% less at mytyres.co.uk than anywhere else. 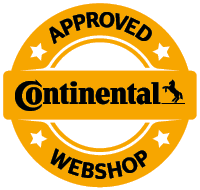 Our tyre prices include VAT and packaging as well as shipping costs within mainland UK. Single tyre orders carry an additional charge of GBP 5.00. Motorbike tyres are delivered free of charge.